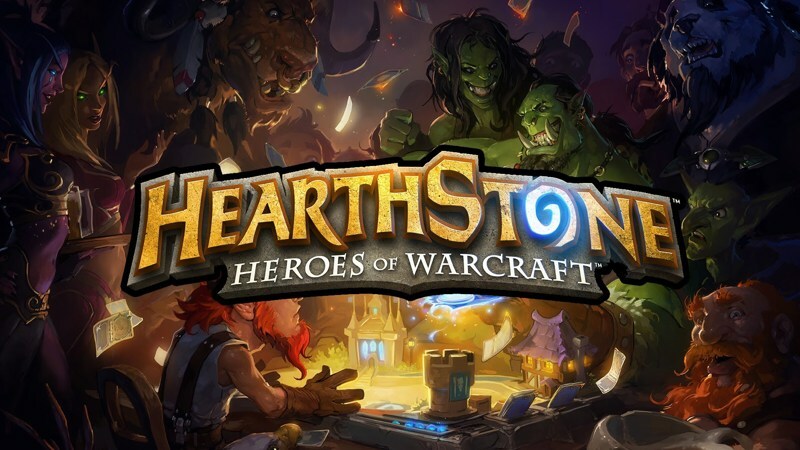 I'm a little late to the party, but I tried Hearthstone: Heroes of Warcraft over the break and now I'm totally addicted to it. I've always been one of those people who likes the idea of collectable card games but has had trouble getting into one for some reason or another. Even Magic: The Gathering, which is an excellent game, has a few elements that push me away from it. It's free to play. This means that you get the basic cards that you need to play the game by playing the game; you unlock them as you gain XP. This ends up being quite a few cards that you don't have to pay for, and it gives you more than enough information to decide whether the game is for you or not. It's simple, elegant, and has a lot of emergent complexity. There are two kinds of cards: spells and minions. You only play cards on your turn. Mana comes at a fixed rate, so you don't run into the problem of having not enough (or too many) resources. Despite the game's simplicity, it leans way into exceptions-based rules, and the cards have a lot of interesting abilities that interact with each other in cool ways. It dangles carrots. You complete quests by playing the game, which earns you gold, which you can use to buy more cards or enter into the Arena (which gets you cool prizes). It's quick. A match takes maybe thirty minutes at most, and there's a turn timer, so a single turn will only take a minute or two tops. It's easy to find an opponent. Finding an opponent at roughly my skill level has always been really challenging in other CCGs. Most people I play are way out of my league, and I wind up getting thrashed again and again without having a lot of fun. Hearthstone's matchmaking system means I can jump into a game anytime I want, guaranteed to play someone at roughly my skill level. It's entirely virtual. This is great for someone like me, who doesn't want to clutter up his living space with even more cards.